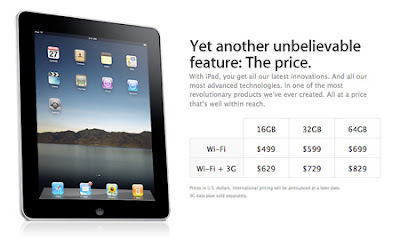 So, just how much will you have to shell out for a 3G-enabled iPad come April? How about $629 for the 16GB, $729 for the 32GB, and $829 for the 64GB. Fortunately, the unlimited $29.99 AT&T data plan does not require a contract and can be canceled at any time.